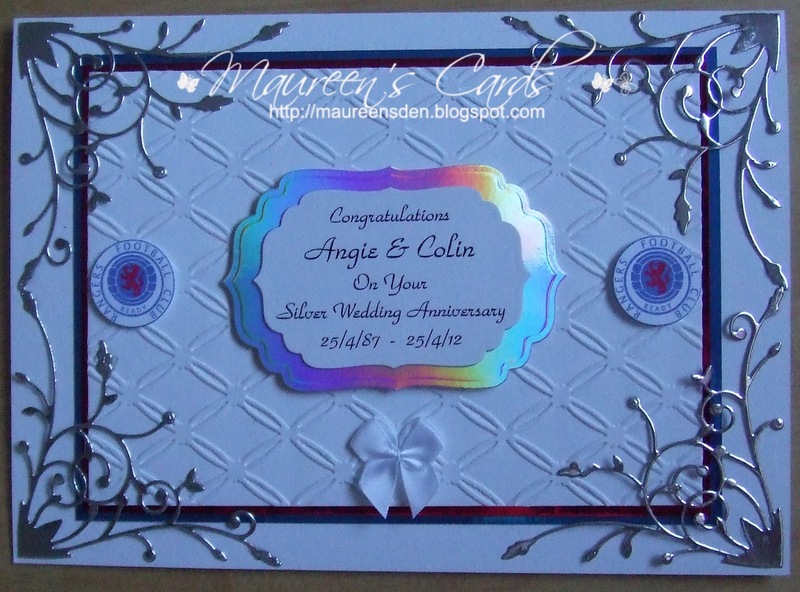 I was asked to make a Silvery Wedding Anniversary Card with a Rangers FC theme. This is what I came up with. White base card. 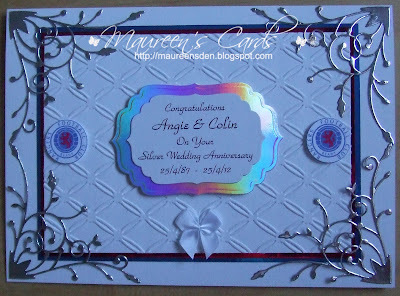 Tied Together embossing folder layered onto red and blue mirror card. Corner die cuts from Memory Box. 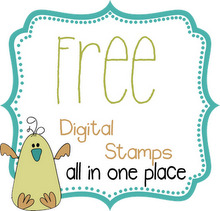 Sentiment from PC and cut and layered with Nesties. White bow is from my stash. I printed two RFC logos from the internet and downsized them and cut the with circle nesties. 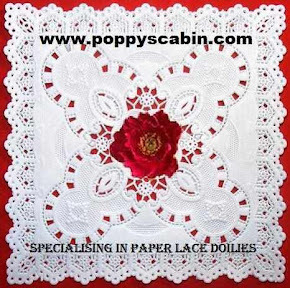 Lovely card, it was not an easy remit but you have come up with a really good design.